If anyone has ever told you that you look like a doll, maybe they saw your doll clone. That’s right…we said doll clone. 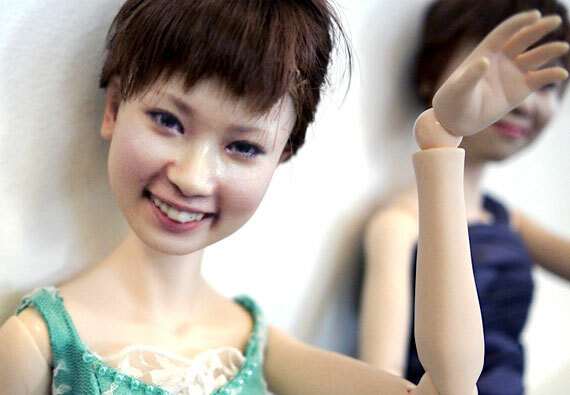 A Japanese startup called Clone Factory specializes in printing 3D human facial images on the bodies of dolls. Do you find that idea creepy or cool? What if you had a stalker and they could somehow get ahold of one of these dolls with your likeness? I doubt you would be flattered. However, the good news is that they can’t make one of these toys from a photograph. The customer has to come into the studio to have digital SLR sequential photos snapped. Clone Factory then creates a digital map of the subject’s head printed into plaster. Japanese women are rapidly snapping up these dolls, which cost a mere $1,770, to commemorate their wedding day or another special time in their lives. Can’t bear to “live” that moment without your pet? Have Fido or Fifi “cloned” as well. 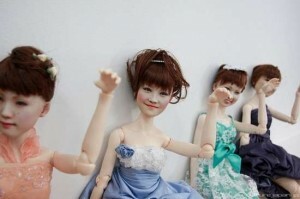 Clone Factory dolls feature real “cloned” faces. Yes, you can get a doll with an alternative type of body or outfit. Some nerdy-chic Star Wars fans are getting theirs with Storm Trooper bodies! Other fancy options include sailor outfits or ornate dresses. Still…wouldn’t you like to get one of your “ex?” He or she will never talk back. They’ll listen to all your problems. The possibilities are endless. Hey, if you can afford it, it doesn’t freak you out, and it doesn’t somehow seem offensive to the women or men in your life…by all means, go for it.